Weddings in Iran have long been an over-the-top affair with families spending thousands of dollars to celebrate a union. But now some couples are splurging on an entirely different sort of nuptial celebration: a divorce party. Still, the divorce parties are a sign of an undeniable trend: divorce in Iran is soaring. Since 2006, the rate of divorce has increased more than one a half times to the point where around 20 percent of marriages now end in divorce. In the first two months of this Iranian calendar year (late March to late May) alone, more than 21,000 divorce cases were logged, according to official statistics. The rise in the number of couples choosing to split up has angered conservatives in Iran who see the increase in divorce as an affront to the values of the Islamic Republic. Last month, Mustafa Pour Mohammadi, the current justice minister who is also a cleric, said that having 14 million divorce cases within the judiciary is “not befitting of an Islamic system,” according to the Iranian Students News Agency. Some of the causes for divorce in Iran, like many other countries, include economic problems, adultery, drug addiction or physical abuse. But the increase in the divorce rate points to a more fundamental shift in Iranian society, experts say. “There has been a big growth in individualism in Iran, especially among women. Women are more educated and have increased financial empowerment,” said Hamid Reza Jalaipour, a sociologist at Tehran University. “It used to be that a woman would marry and she would just have to get along. Now if she’s not happy, she’ll separate. It’s not taboo,” he said. One 41-year-old woman, a chemistry graduate who is now head of public relations at a Tehran factory and who has a teenage daughter, said she divorced her husband because he was an abusive drug addict. While she was married, an aunt had told her not to wash the dishes at a certain time in case it gave her husband a headache. The marriage law in Iran traditionally favors the husband, who has the right to ask for a divorce. But in most cases being brought to court now, the husband and wife have generally come to a mutual agreement to separate, Iranian lawyers say. In the cases where the husband is unwilling to divorce, the wife must legally prove that the husband is abusive, has psychological problems or is somehow unable to uphold his marriage responsibilities in order to separate. Alternately, the wife could push for the payment of her mehrieh, or dowry, if it was not paid when the couple married. Dowries in Iran, usually in the form of gold coins, have skyrocketed in recent years with families sometimes paying tens of thousands of dollars. If the husband is not able to pay the dowry, the wife could waive some or all of it as part of a separation settlement. In some cases, the husband can go to jail if he cannot pay the dowry. 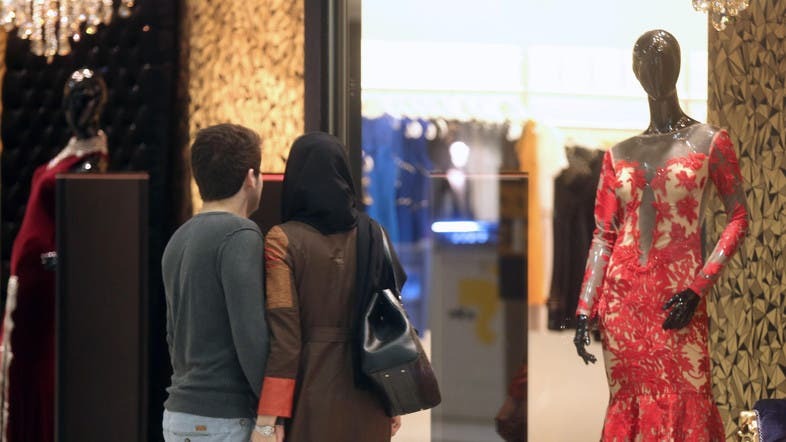 “In the past two years the issue of divorce in Iran has reached unprecedented levels,” said Mohsen Mohammadi, the head of the Yasa law group in Tehran. And it does not appear that the broader trend partly driving the rise in divorce, the greater number of women being educated and their larger presence in the work force, is going to change, experts say. For the current school year, 60 percent of enrolled university students are female, according to official records cited by the Islamic Republic News Agency. When these women graduate, their first priority may not be to get married because they can now find jobs. And if they do get married, it will now be easier for them to leave a troubled marriage or to support themselves financially, experts say. This is not only a trend among the top tier of Iranian society. “We’re not talking about a middle class anymore or the northern Tehran elite. This is not the upper crust becomes Western and gets divorced,” said Kevan Harris, a sociologist and associate director at Princeton University’s Center for Iran and Persian Gulf Studies. The rise in the divorce rate worries government officials in Iran because it comes as the birth rate is plunging. Last year, parliament’s social affairs committee proposed that $1.1 billion be dedicated to facilitating marriages but the motion did not pass in parliament. “If the representatives and officials are sympathetic to the youth of the country, it would be better if they approved these kinds of plans,” said the head of the committee, Abdul Reza Azizi, according to Mehr News. A more controversial proposal has been to create a Ministry of Marriage and Divorce, which some officials have criticized on the grounds that a new ministry would create more bureaucracy rather than address the overall issue of rising divorce. Whatever the government does, it will be hard to change a new tolerance for divorce.